It’s a great honor to have this opportunity serving the Oxford and Cambridge Society! The new Committee was just formed in April of 2018 and we will try our best to continue the tradition and legacy of the Oxbridge Shanghai Society in the next two years. We want to take this opportunity to thank all our alumni for their trusts and supports in the past years. Special thanks go to the Committee members of past generations for their passions, efforts and contributions. 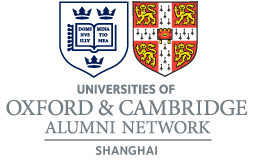 There are 1000+ Oxford and Cambridge alumni in Shanghai region. In the years to come, we will continue the efforts to make the Oxbridge Society a network where alumni could connect to each other easily, a platform that is supportive to the life and career of our members, and a family where the alumni can stay comfortably and help to each other. The time and experience at Oxford and Cambridge is unforgettable. As part of the legend, we benefited a lot from the Oxbridge history and glory and are passionate to contribute a share to the Universities and to the communities as a whole.